Explanation: Geminid meteors battled supermoonlight in planet Earth's night skies on December 13/14. Traveling at 35 kilometres (22 miles) per second, the bits of dust from the mysterious asteroid 3200 Phaethon that produce the meteor streaks are faster than a speeding bullet. Still, only the brightest were visible during the long night of 2016's final Perigee Full Moon. Captured in exposures made over several hours, a few meteors from the shower's radiant in Gemini can be traced through this composite nightscape. 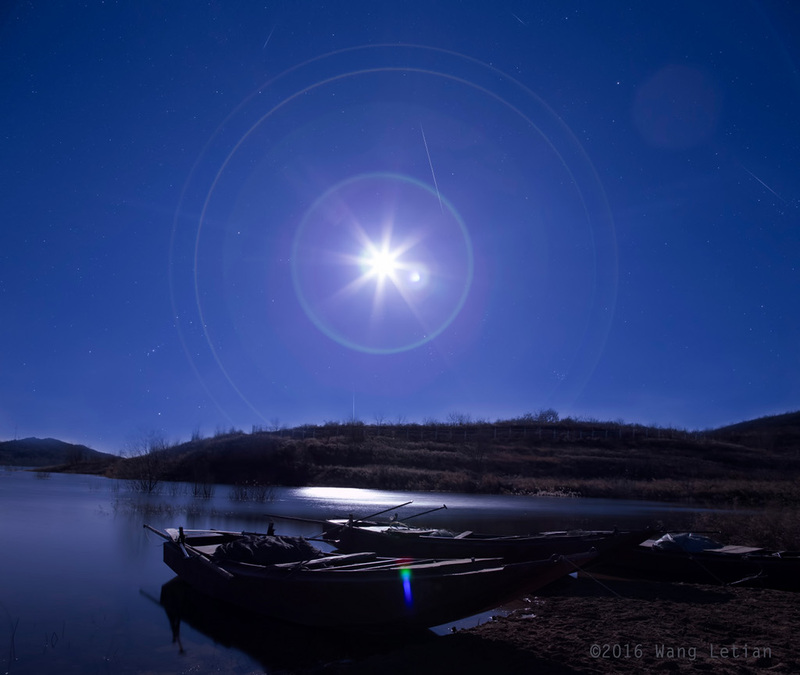 With stars of Orion near the horizon, the overexposed lunar disk illuminates still waters of the Miyun reservoir northeast of Beijing, China.